It has been some week! Had a great trip to Coast with my parents to see Celtic Woman and to give my Dad a chance to spend the night in the house he was born/grew up in. 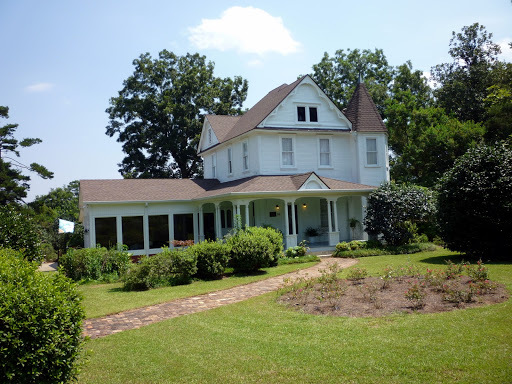 The George Austin McHenry House, McHenry, Mississippi is on the National Register of Historic Places. Though named for my great grandfather, my great grandmother is actually the one who got it built while Ponnie was roaming the world (he was a physician in the US Army). The end of the week has sort of left many of us numb. They Sanctuary Choir family prayed as Choir family members stood alongside their loved ones as they moved into heaven or struggled with really serious illnesses. I have been in the choir 30 years and never have I experienced a week with so many folks hurting. My prayers go out to them all. The weather has been AWESOME this week. WOW – snow and ice and frigid cold for the past three weeks and 75 yesterday! You gotta love living in the South! As my Mama says, “it is not Easter yet so you know it will be cold again.” So be it, but am going to enjoy this while it lasts!